Israeli athletes participating in Abu Dhabi judo tournament will be permitted to do so with Israeli flag and Israeli national symbols. Starting next year, Israeli athletes participating in the Abu Dhabi Grand Slam judo tournament will be permitted to do so with an Israeli flag and Israeli national symbols, Yediot Aharonot reported on Saturday night. According to the report, the decision was made at a meeting held at the end of the current tournament between the President of the World Judo Association, Marius Vizer, the Chairman of the Israeli Judo Association, Moshe Ponte, the President of the United Arab Emirates Judo Association and the Secretary General of the Association. The Israeli team this year was prevented from wearing the Israeli flag or any other national emblems on their uniforms, including the designation ISR for Israel. In addition, the Israeli national anthem “Hatikvah” was not played at ceremonies when Israelis won medals. 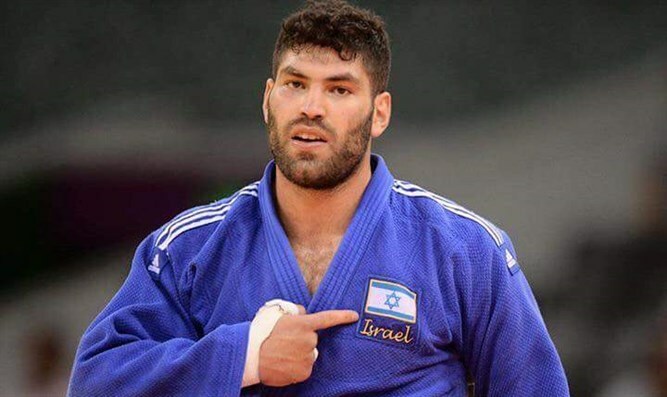 The restrictions on the Israelis continued despite the fact that the International Judo Federation called on the United Arab Emirates to treat Israeli athletes equally during the Grand Slam tournament. Despite the discrimination against them, the Israelis fared well in the tournament. On Thursday, Israeli judoka Tal Flicker took home the gold medal in the 66 kilogram division, while Gili Cohen won the bronze medal in the women's 52 kilogram division. On Friday, Israeli judoka Tohar Butbul defeated Italian Olympic champion Fabio Basile and won a bronze medal. And, on Saturday, Or Sasson won a bronze medal in the over 100 kilogram category, while Peter Paltchik won a bronze in the men’s under 100 kilograms category.